Russia’s president has re-emerged from the international isolation he incurred when he annexed Crimea and began the war in eastern Ukraine – because Western politicians feel they need him in Syria. But a switch back from realpolitik to a policy of hope is dangerous. German Vice Chancellor Sigmar Gabriel’s “private” trip to Moscow at the end of October has to be interpreted in the context of a slow shift in Germany’s Russia policy. The SPD leader claimed he did not understand why German-Russian relations had deteriorated over the last ten years and promised to help win legislative support for the Nord Stream 2 gas pipeline project – positions that by no means represent the prevelant view among the German political elite. But the fact that Gabriel was able to make the trip at all – undermining Chancellor Angela Merkel’s hard line on Russia without earning a reaction from the chancellery – shows the change that is underway. When Gabriel linked the need for Russian cooperation on Syria and the so-called Islamic State (IS) with the Ukraine crisis in September, it represented a first attempt to shift German political discourse on Russia. Merkel’s reaction at the time was prompt: she immediately denied any connection between Syria and Ukraine. This time, she seemed to be too occupied with the refugee crisis to respond in public. What is even more alarming: due to the refugee crisis, the terror attacks in Paris, and the growing influence of euroskeptic populist parties in the EU, the chancellery has a growing interest in solving the Ukraine problem. That means that, from a German perspective, implementing the “Minsk 2” accords is a must – and it is increasingly possible that Germany will push for its completion before Ukraine is ready. 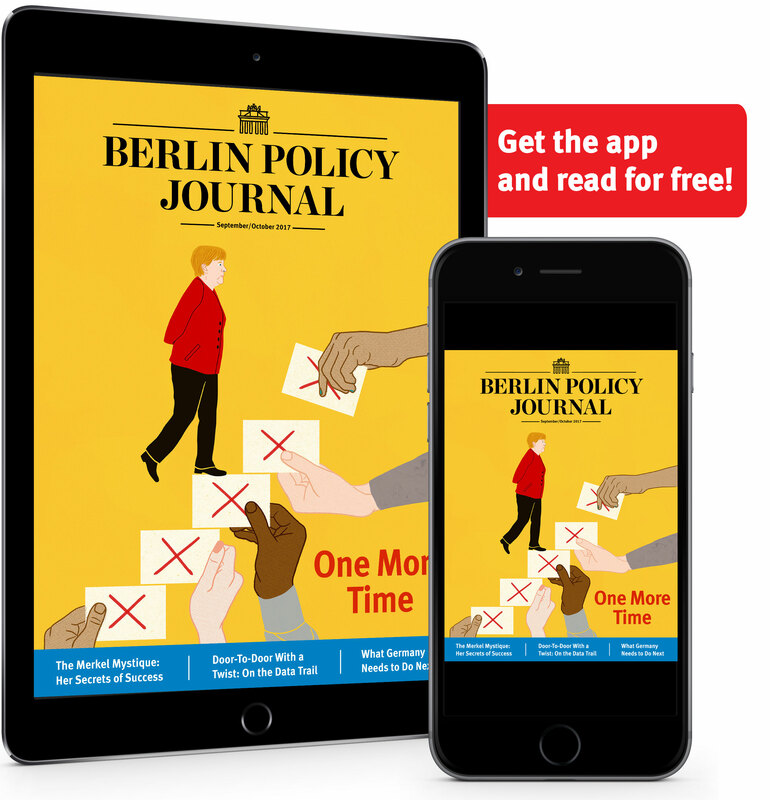 The German Foreign Office is currently preparing a road map for elections in the separatist regions of Donbass and Luhansk to get the Minsk 2 agreement implemented – a job that will only grow more pressing next year when Germany assumes the chairmanship of the OSCE, which is responsible for observing the elections and certifying them free and fair. This will put Ukrainian President Petro Poroshenko under a great deal of pressure to implement the decentralization law and accept elections in the separatist regions, steps that could even further destabilize his position in Ukrainian politics. Yet as long as the borders with Russia are open and there is no security and no free media – and criminal warlords are able to operate in an extra-legal space – free and fair elections are impossible. It would be impossible to send civil election observers from the OSCE’s Office for Democratic Institutions and Human Rights into such a region without undermining the credibility of the OSCE. And while several of these future variables remain uncertain, one thing is already clear: it is not Russia that is compromising in eastern Ukraine, but the EU – especially the larger member states, many of which have an interest in resolving the Donbass problem quickly and improving the relations with Moscow. European politicians have been emphasizing that since the beginning of September the ceasefire agreement has (more or less) worked. But this merely represents the success of a traditional Russian tactic: create a problem and then “solve” the problem you have created, and make the other side believe that you have thus reached a compromise. We have accepted that Putin is willing to compromise because we lack any alternative to the Minsk process; yet the Minsk 2 agreement already conceded too much to Russia, with many areas left vague and open to re-interpretation. All this plays into the hands of Russian President Vladimir Putin. When Putin punctuated his September address at the UN General Assembly with military strikes in Syria, it became clear how much he was willing to do to force negotiation with other international leaders, particularly the US president. And Putin’s timing could hardly be better: as the West has no strategy for restoring stability in Syria and Iraq or fighting IS, it will clutch at any aid Putin offers – even if Putin himself has no plan beyond supporting Syria’s discredited ruler Bashar al-Assad. Russia’s inclusion in the Vienna Process confirms that, following his meeting with Obama at the G20 summit in Ankara, Putin is to be a part of a diplomatic initiative to solve the Syrian disaster. Thus even if the Vienna format represents a step forward, it also presents Russian leadership an opportunity for a new round of diplomatic games – and once more, it is not Russia that is moving to compromise, but the West. Assad has become at least in the short and medium term a part of the solution in Syria. That is what Putin has always wanted – for his authoritarian ally being welcomed to the negotiating table, and his concept of a stabile rump state to be accepted by the West. How all this will work with the Syrian opposition nobody knows, but the main thing is that Russia is back – and we no longer speak of the Ukraine problem. It is frightening how much European leaders are driven by the needs of crisis management, winning short term gains without any plan to secure long-term interests. 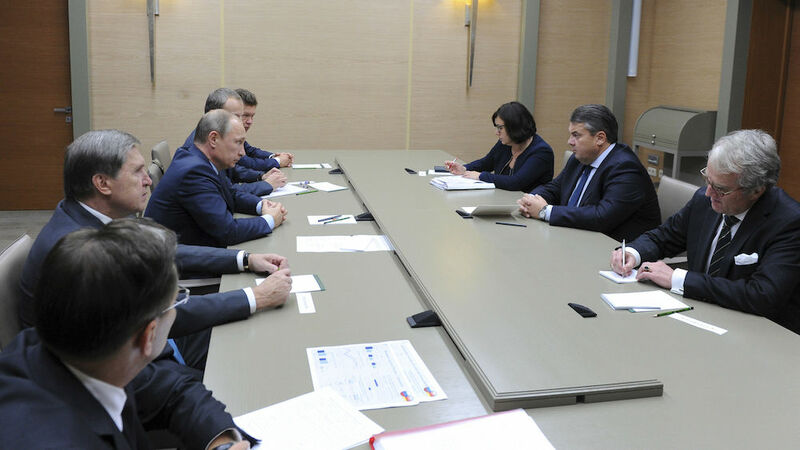 With his support for Nord Stream 2 and trip to Moscow, Sigmar Gabriel has acted as though he is a purely domestic politician, one who is not concerned by Russian foreign policy. He knows how unpopular Merkel’s approach towards Russia is in his own party, and is exploiting her weakness. Germanys OSCE chairmanship next year, along with the idea promoted by German Foreign Minister Frank-Walter Steinmeier to engage with Russia in a Eurasian Economic Union-EU context, will give Russian leaders plenty of space to finish undermining the credibility of Merkel’s Russia policy. 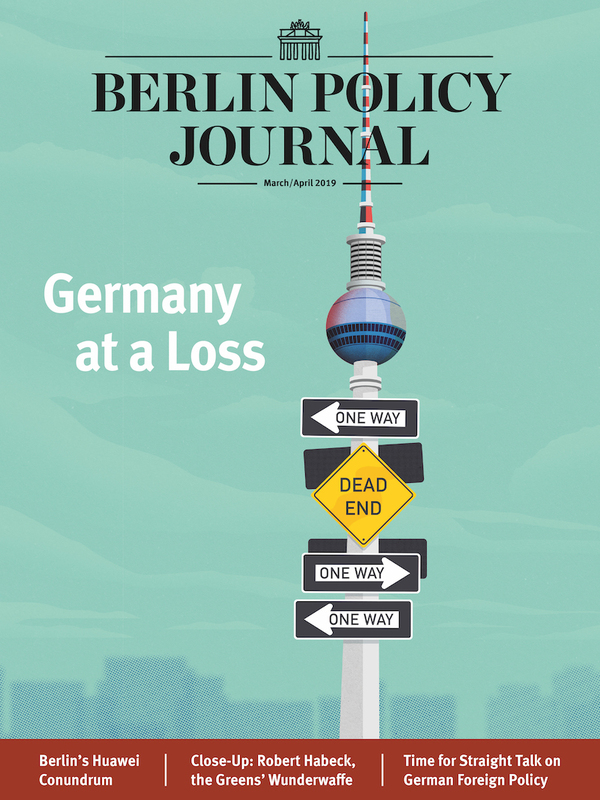 A new Neue Ostpolitik remains unlikely as long as Russia makes no real compromises to rebuild trust with German leaders, and Nord Stream 2 will not help Vladimir Putin to reengage with Germany on a broader level. Ukraine, however, may well fall victim to these developments – it is increasingly seen as a hindrance to normalizing relations with Moscow. Yet to destabilize the government in Kiev while pressing it to fulfill Minsk 2 might create a next much bigger crisis, one which must be managed by Berlin. It would be good for German leaders to think carefully before selling out their own values and principles. This is not a new German realpolitik which deals with the reality of Putin’s regime, but a slow return to a policy of hope rather than fact.